Huh, yes. Yes indeed. GET OUT OF MY HEAD YOU STRANGE MAN! 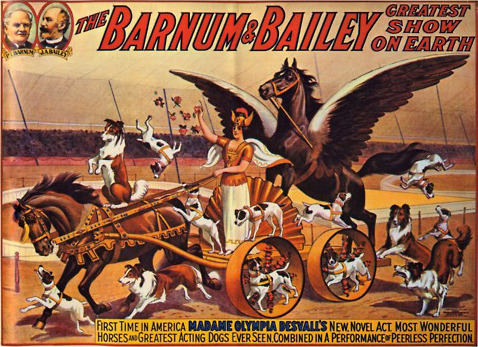 A very long time ago, the Barnum & Bailey circus performed on a field where later, they built my secondary school. So now everything that was built on that particular site is called Barnum, including my old school. How's that for random yet awesome information? !